The house Residenz Paradis takes part to our hotel Paradis. Situated beside our hotel, the house offers two big 6 bed apartments and one studio. 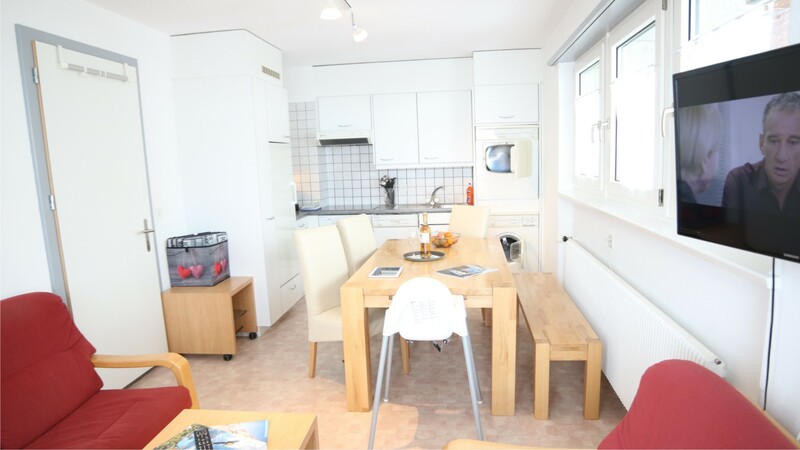 The big apartments can be booked with hotel services, so the breakfast and the daily cleaning are inclusive, also as the daily entries for the Leukerbad Therme. The big apartments have all balconies, the studio has a small terrace place in garden in front of the house. The house Annelise takes part to our hotel Paradis. The house Annelise you will find directly beside the hotel Paradis, only separated by the parking fields and the small road. We are owners of one big 6 bed apartment, one very big 4 bed apartment and one studio, all with balconies. All can be booked with hotel services, so the breakfast and the daily cleaning are inclusive, also as the daily entries for the Leukerbad Therme.